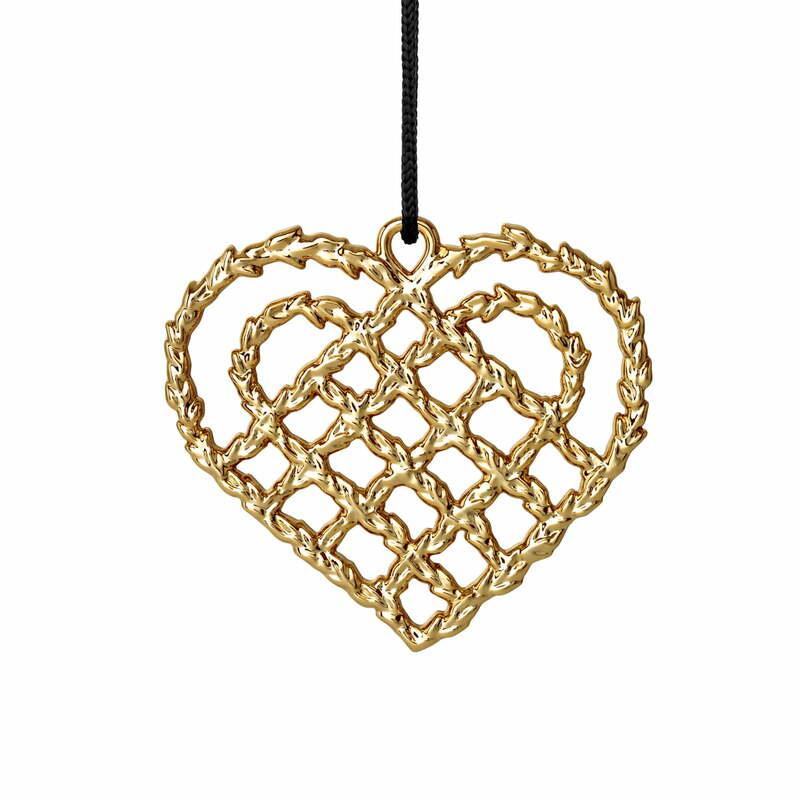 The woven heart by Rosendahl is characterised by its filigree design in an interwoven structure. The tree decoration was designed by Ole Kortzau in honour of the Danish writer and Christmas lover Karen Blixen. The pendant is ideal for decorating the Christmas tree, but can also be hung on branches or in the window. 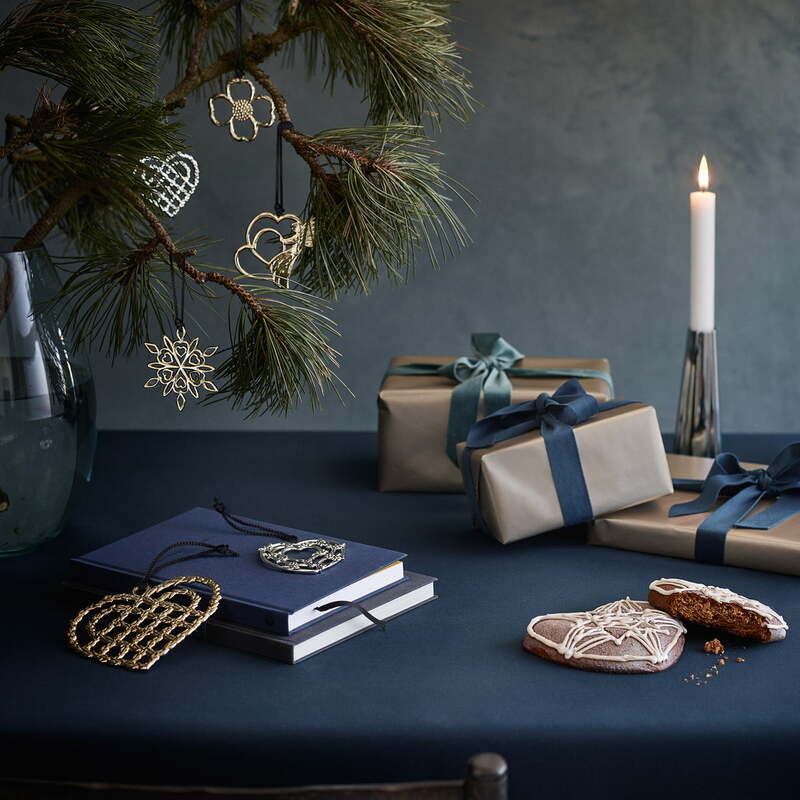 Loosely scattered on the festively set table, the artfully decorated hearts add to the Christmas atmosphere. 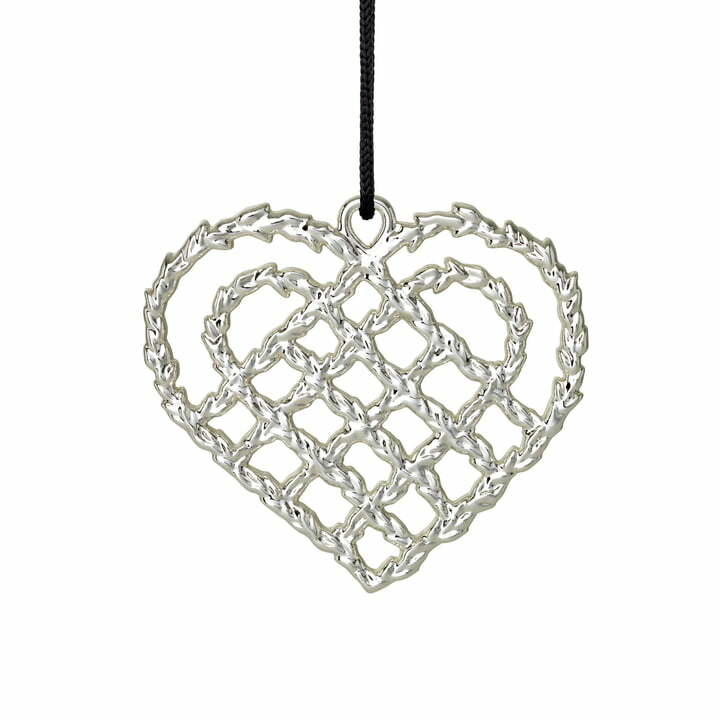 The braided heart is made of a zinc alloy in various sizes, which is then silver-plated or gold-plated. A sophisticated and decorative element that can be combined with other tree decorations from the Karen Blixen Christmas series and adds a stylish touch to any Christmas ambience. A sophisticated and decorative element that can be combined with other tree decorations from the Karen Blixen Christmas series and adds a stylish touch to any Christmas ambience.